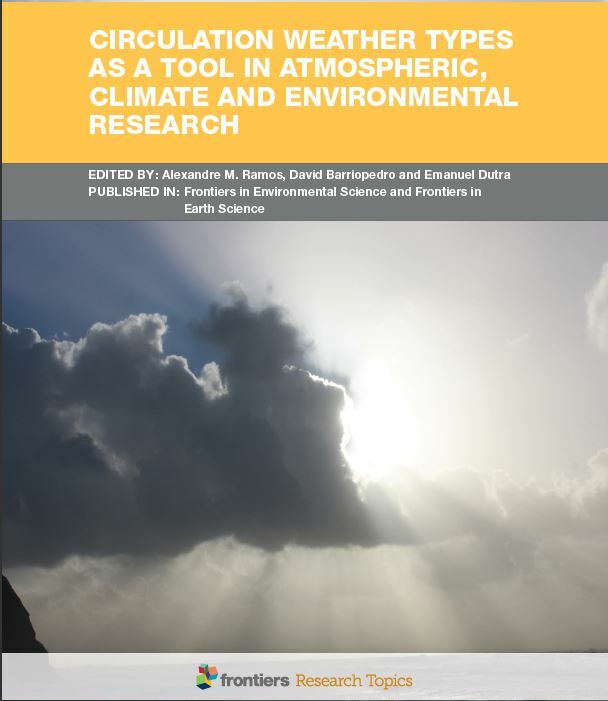 We are delighted to announce the publication of a new eBook presenting cutting edge themes on weather systems: “Circulation Weather types as a tool in atmospheric, climate and environmental research”, published under Frontiers in Environmental Science, hosted by: Alexandre M. Ramos, David Barriopedro, Emanuel Dutra. We hope this achievement serves as a stepping stone to inspire future research topics in our journal. Topic Description: Classifications of circulation weather systems have a long history in meteorology and climatology. Starting with manual classifications over specific regions of the globe, these tools (generally called “catalogs of synoptic types”) were restricted mainly to weather forecasting and historical climate variability studies. In the last decades, the advance of computing resources and the availability of datasets have fostered the development of fast and objective methods that process large amount of data. In recent years numerous methods of circulation type classification have been designed, showing their usefulness on a wide range of applications in scientific domains related to weather, climate, and environment. This Research Topic highlights methodological advances in circulation weather types and also their applications to different research areas. The articles included in this research topic show that circulation weather types can be used not only in Europe, where they have been always more frequent, but also applied to other regions of the world. If you have an idea for a new Research Topic, contact our team: researchtopics@frontiersin.org. A list of the most popular Research Topics can be found here. If you are interested in becoming either an Associate Editor or Review Editor for Environmental Science please contact environmentalscience.editorial.office@frontiersin.org for more information. We look forward to hearing from you! Good one! When it comes to future, we don’t have enough tools to predict it with precision. But we can always prepare for it. This holds true in the case of climate change.